The Payson – UVU Maize is located in Payson off I-15 exit 248. 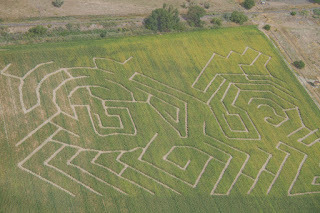 The maze is a joint venture between UVU and Payson. 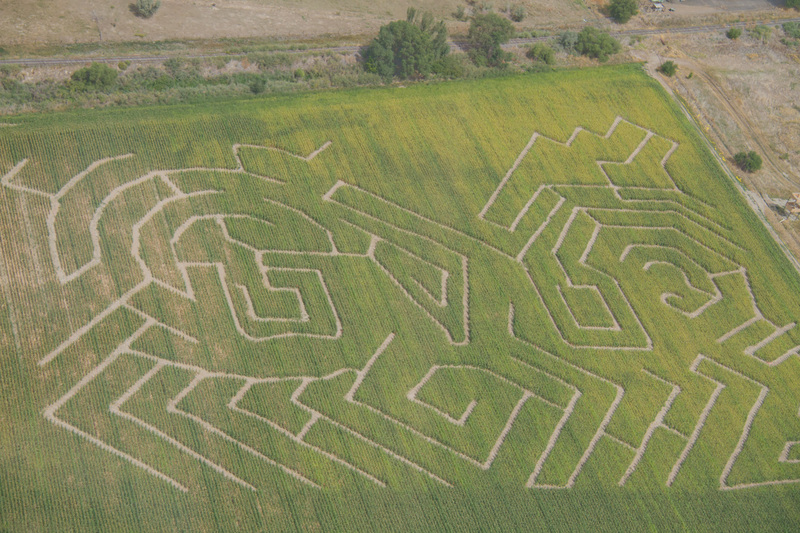 Proceeds from the maze tickets go to scholarships for UVU students. UVU is even built into the maze design, which you’ll see on the photo. The Maize is open Mon – Thur nights from 5 – 9 PM, and 5- 10 PM on Friday and Saturday nights. Prices: $6.00 per person, kids under 3 are free. $5.00 per person for groups over 10. Oct 25 and 27: The Maize will be haunted (and maybe more nights). Oct 30: The Great Maize Trick or Treat Night from 5-9 PM. Guests that night are invited to come in costume and wander through the maze looking for candy. Nov 3: The Valley United Against Poverty Maize event. More details to come. For more information or to purchase tickets in advance: maize.me or uvualumni.org/maize.